My signature six month coaching program will take you on a transformational journey, giving you the support and guidance you need to build a successful business AND create a life you love. But at the same time you’re feeling scared and vulnerable to take the next step. You’re wondering if you can actually make your business work. You have feelings of excitement one minute and sickening fear the next. You’re feeling confused about what to focus on and when. All you want is to put an end to the overwhelm and have simple strategies in place to sustainably grow your business. 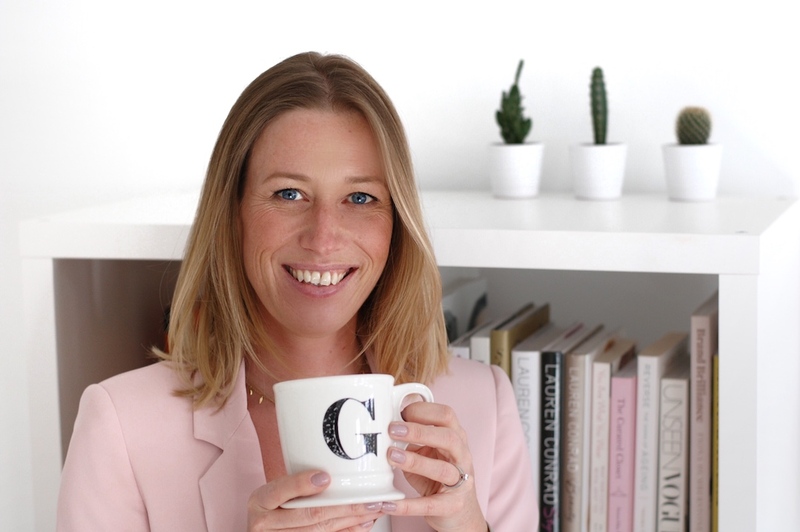 I’m Georgie Steeples a business strategist and coach who helps empower service-based female entrepreneurs replace overwhelm and hustle with the clarity, confidence and strategies they need to build a profitable business and life they love from the inside out. A couple of years ago, after having my children I made the decision to leave my 16 year corporate career behind me and to follow my dream of being my own boss. Today I have a business that is fully aligned with who I am and which enables me to work part-time from home so that I can spend more time with my young family. I am here to help you design a business that gives you the freedom and success you truly want. ARE YOU READY TO BUILD A LIFE AND BUSINESS YOU LOVE FROM THE INSIDE OUT? My signature coaching program is six months of elite one-on-one coaching and mentorship for service-based female entrepreneurs who want to have more freedom and success doing something they love. Our journey together starts with YOU – who you are at your core, what you really want your business and life to look like and what your version of success looks like. We will deconstruct your corporate employee self and reconstruct you as a confident, empowered CEO of your own business. A core pillar of the work we do together will be around mindset. This is a fundamental step in becoming a successful entrepreneur because in order to take the action required to build and launch a profitable business, you need to believe that what you are working towards is possible for you. We will focus on your money mindset and work to overcome any limiting beliefs that may hold you back. The program will cover everything you need to know to build and grow a profitable business. I will guide and support you in building a stand-out brand online that attracts your ideal clients with ease. This program is for you if you have recently started your business and you don’t know what to focus on next, or if you have been in business a couple of years and are ready to take your business to the next level. Sessions are tailored to your specific requirements to get you the best results. There are implementation weeks between each session to execute your plan of action. We will begin our work work together with a deep-dive look at your business and what you hope to achieve during our time working together. During this call I will identify your top priorities and create your bespoke session plans so that you get the most out of our time working together. You will receive call notes and recordings for all sessions, including workbooks, action plans and resources. Helping you implement + take action towards your goals. Now accepting applications for 2019. Limited spots available.